Italy-based designer Alessandra Meacci, has created Bolina, a modern and versatile room divider. Inspired by sailing boats, Bolina is a round metal structure that uses stretched sailing rope from the base to the top, creating a curved colored surface. Inside the divider, white or wood laser-cut metal levels are used to create shelves, making it easy to utilize space and create a vertical garden. 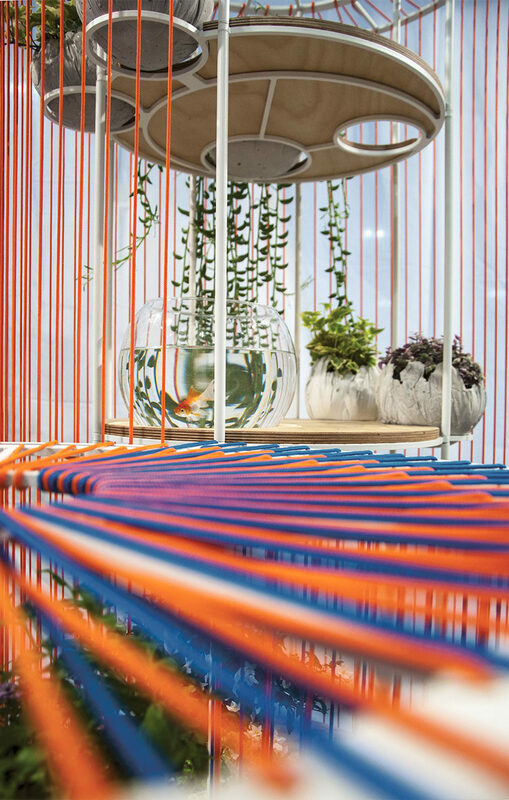 Some of the rope strands have beads, making the vertical shelving unit more playful.